We, the members of Trinity Episcopal Church, pledge to spread the good news of God in Christ to all nations, “baptizing them in the name of the Father and of the Son and of the Holy Spirit.” We pledge to start right here on Main Street to seek out new members of the Body of Christ, to be a welcoming and inviting Church, where all can learn about God, where all can worship and be fed, and where all can discern individual gifts for service and outreach. 10:00AM – Sunday School* (except 1st Sunday of the month) called “Family Worship Sunday”, when there will be no Sunday School, and children are encouraged to worship with their families. This change from previous years is being made to accommodate the needs of families with young children. It will make their worship day more manageable and convenient for those who have other activities planned. It will also tighten up the breakfast schedule, allowing more parishioners to spend time together in fellowship and instruction. 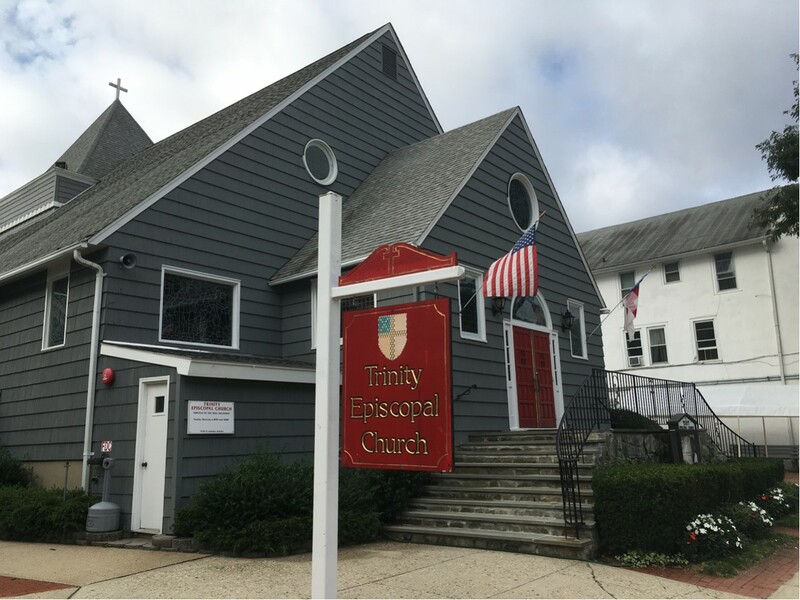 Besides the Sunday morning breakfast, available from 9 am to 9:45 am, fellowship at Trinity spans a wide variety of fun events: St. Nicholas Bazaar, Shrove Tuesday Pancake & Sausage Dinner, and Comedy Night, featuring professional comedians. Other events include the picnic on Trinity Sunday, Lobster Dinner, Cow Harbor Day Church Fair and several live theater performances throughout the year by the Minstrel Players. The Episcopal Church Women/St. Elizabeth’s Circle meets weekly and hosts an annual Ladies Dinner, as well as playing a leadership role in fundraising and fellowship events. We encourage important non-profit groups to use our facilities, making Trinity an active part of the community. Al-Anon, Alcoholics Anonymous and Narcotics Anonymous groups meet at the church weekly. Cub Scout and Boy Scout packs also meet here. Also Little Sprouts by the Sea PreSchool, which is an independent entity that rents space from the parish, provides a needed community service for high quality, preschool care five days a week. We are major, year-long supporters of the Ecumenical Lay Council’s mission to help feed the needy in our area. We also aid the local battered women’s shelter. In addition, we regularly help the Huntington Interfaith Homeless Initiative through youth and adult parishioners working together to care for the homeless in our region.